This is a great costume. 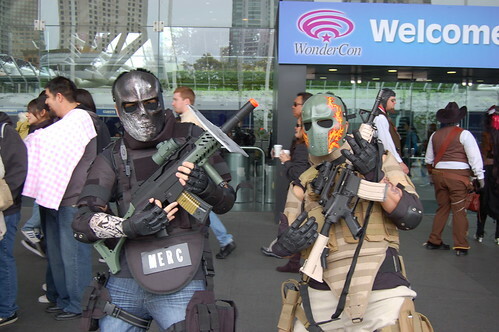 I have never played Army of Two, but that is part of what makes this a great costume. It you pay attention you will know what it is, but it is still obscure.